The brand name is a bit weird, but believe me the products are very promising. I had always wanted to try this Bangalore based brand but somehow only a limited websites had their products and couldn't get my hands on them. 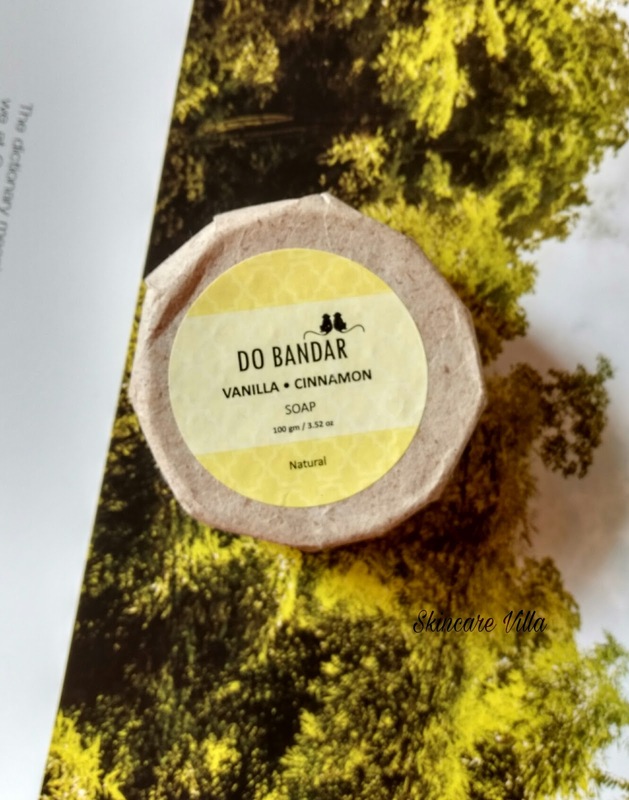 So when Qtrove approached me for a website review, I immediately ordered the Do Bandar soaps. Now let's hop onto the review. and cinnamon is seductive, anti-inflammatory and just plain yummy. Ingredients: saponified oils of coconut, palm and rice bran, extract of cinnamon, extract of vanilla. 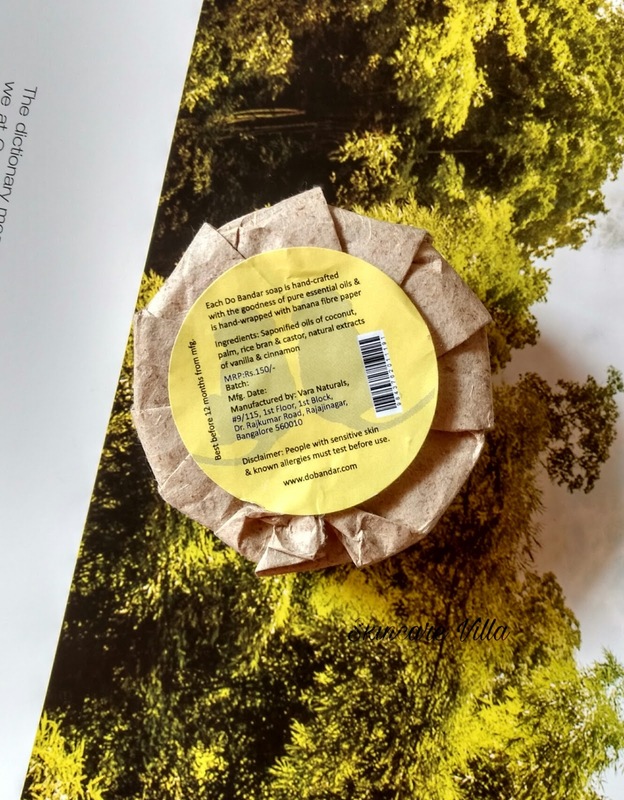 The soap is packaged in a banana fiber paper, which in turn is bio degradable. The soap bears all the information about the soap such as ingredients, shelf life and price. The soap is round in shape unlike the normal square ones. The soap has a herbal scent which I didn't find yummy or sweet at all. The soap is biscuit colour and has cinnamon particles in it. 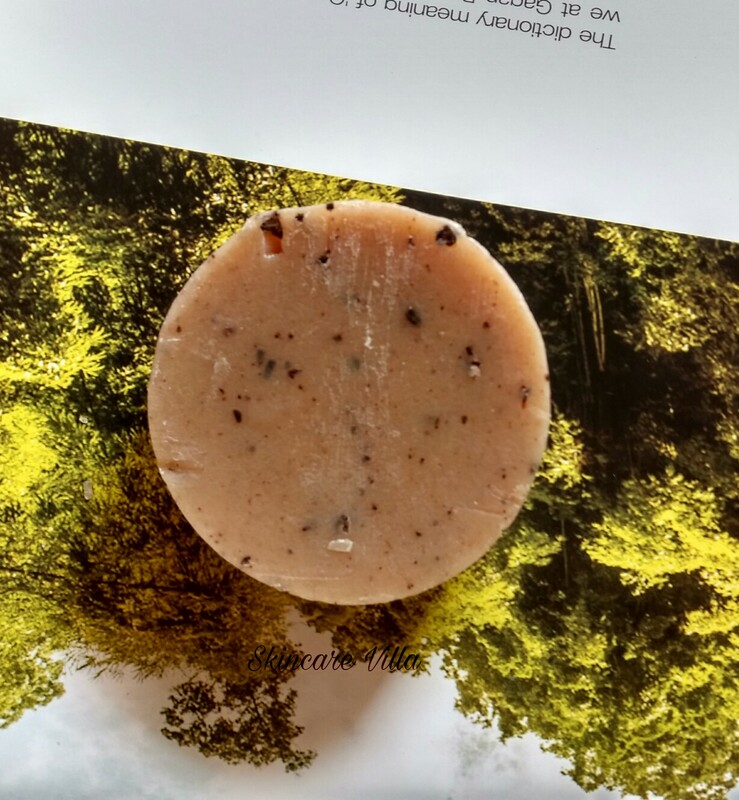 The cinnamon particles give a subtle spicy scent to the soap. The soap foams quite good and isn't milky at all. The soap gers washed off very easily. Now coming to the effects, it isn't drying but it isn't that hydrating as well as I have felt with some handmade soaps. I know comparing is not good, but I found this as an average soap which did only cleansing. The soap aroma doesn't linger much and once out of the shower we feel squeaky clean. As the soap reduces in size the cinnamon particles hurt the skin. As long as the soap is new, the particles get pushed inside the soft soap. Once the soap reduces in size they simply fall or else give an itching feeling to the skin. They don't even give a scrubbing effect to the skin. If you are a handmade soap lover and enjoy trying out different varieties then this would be a good option. 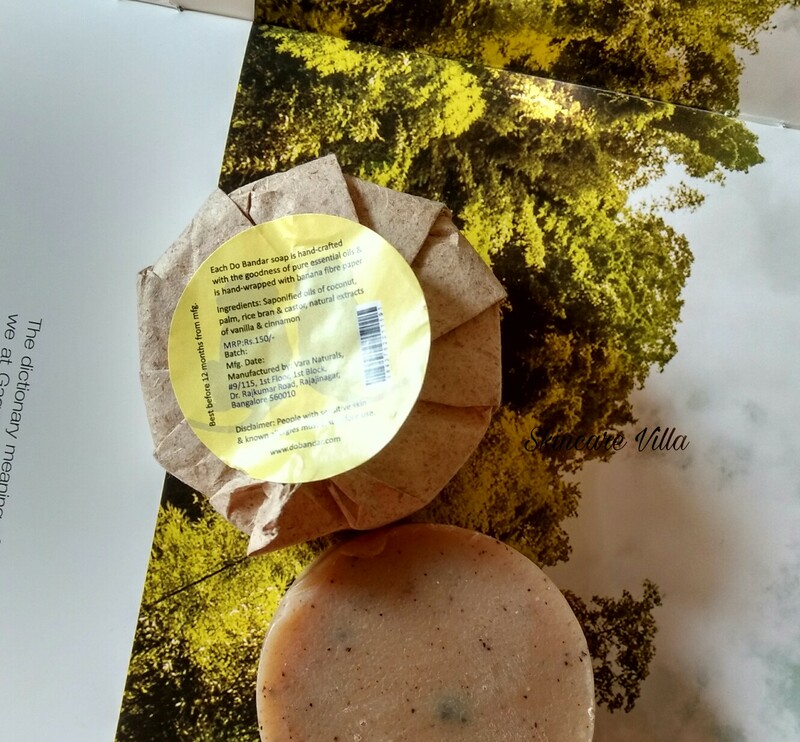 However I didn't find the soap any extra ordinary as I have used up a whole lot of other handmade soaps.